Despite its apparent popularity in Brazil, the Mach 6 was one of the lesser known boards of the Morey Boogie line. Featuring a square tail and a non-Surlyn slick skin, the Mach 6 was nearly identical to the Waimea Pro. 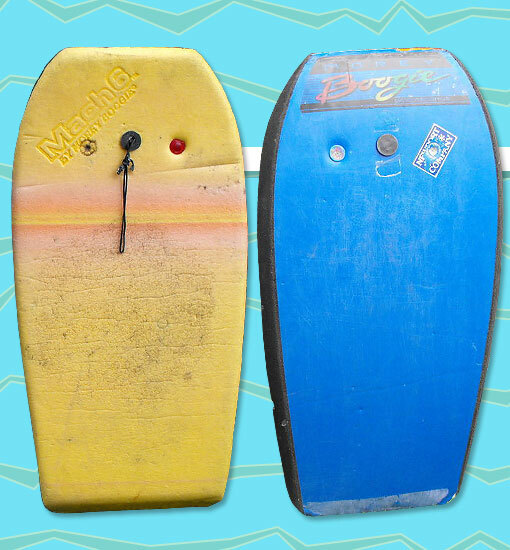 The one difference was that the Waimea Pro featured a vinyl deck, whereas the Mach 6 had a standard HDPE deck. The deck coloring was typically orange with a tie-dye stripe, but this particular board appears to be more yellow than orange. This second generation Mach 6 is fairly uncommon and can be identified by its rainbow logo.